Designed and manufactured in the UK, using laser cut steel, this quality product has the look and hardwaring finish that you would expect. 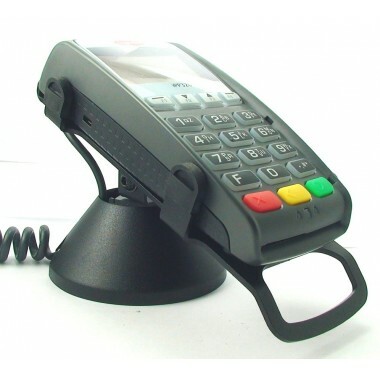 Made from steel with a durable, powder coated, matt black finish, this stand is specially designed for Ingenico iPP300 series PIN pads. It can be screwed to the desk or fitted with an extra-strong adhesive base, providing security against theft. The design also helps to prevent accidental or deliberate tampering with your credit card terminal. This unit comes with a lockable security arm for additional security against theft. This unit comes with a lockable security arm for additional security against theft.